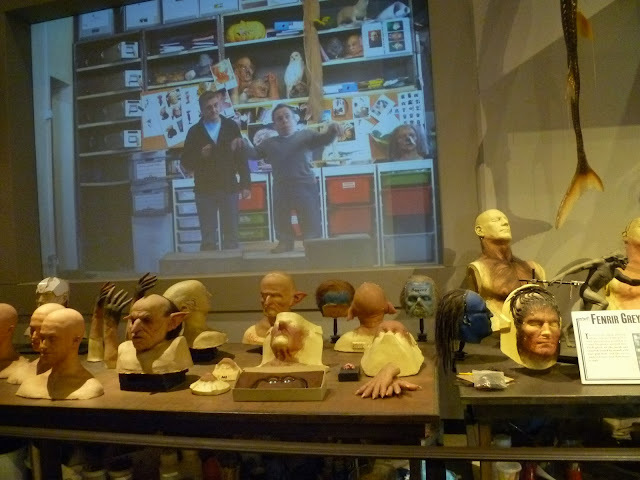 Today we continue our weeklong series on The Making of Harry Potter exhibit at the Warner Bros Studios just outside of London with a focus on masks and creatures. Above you can see a photo of Buckbeak, the Hippogriff that Hermione and Harry save from a death sentence. 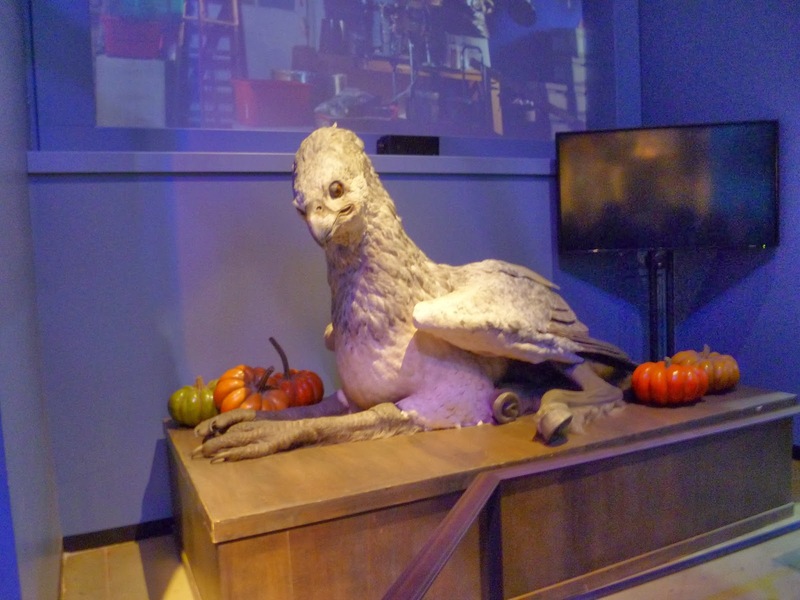 He reminds me a lot of Fawkes, Dumbledore's Phoenix. 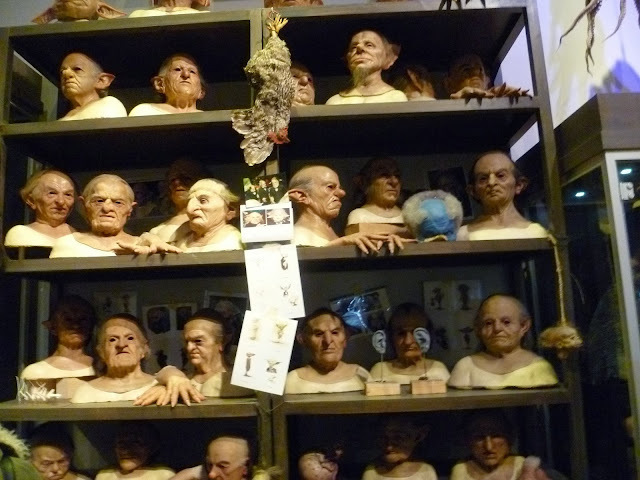 Below we have photos of masks, including many of the goblin masks and one of that horrible werewolf, Fenrir Greyback. 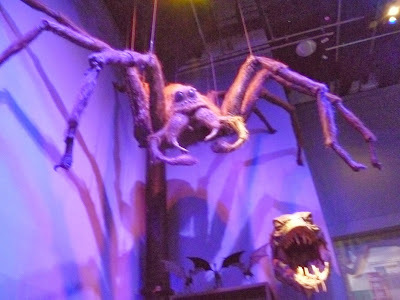 Last but not least we have one of the monster spiders that Hagrid loved so much. It doesn't looks so scary here hanging from the ceiling. It looks more like a big stuffed animal. The spider is still creepy. Those masks are amazing. The self full of heads is a little creepy. The basilisk right below the spider is scary.